Questions? Call us at 00800 7253 3333 (FREEPHONE). Every bank wants to deliver a world-class experience to its clients. But the banking industry is experiencing unprecedented change and disruption. 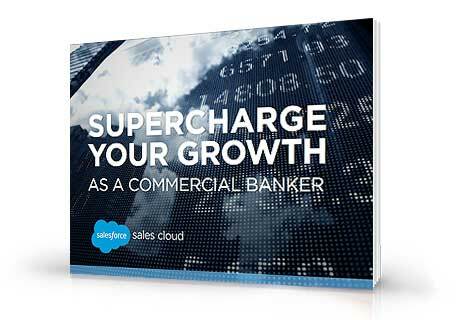 Today’s customers expect commercial banks to have a deep knowledge of their business. In order to succeed in this hyper-connected world, commercial banks need a single, 360-degree view of their customers. They need to engage the full power of their teams through collaboration and improve visibility across the buying cycle. This e-book shows you how to do that, and more. It’s time to transform your customer and employee experience — and, in the process, to supercharge your growth. Sign up today and get our free eBook. I agree to the Privacy Statement. In particular, I consent to the transfer of my personal information to other countries, including the United States, for the purpose of hosting and processing the information as set forth in the Privacy Statement. I understand that these countries may not have the same data protection laws as the country from which I provide my personal information. I have the right to withdraw my consent at any time. For more information, click here. By registering, you confirm that you have read and agree to the Event Terms of Service, and that you agree to the processing of your personal data by Salesforce as described in the Privacy Statement. By registering, you confirm that you have read and agree to the Event Terms of Service, and that you agree to the processing of your personal data by Salesforce as described in the Privacy Statement. Salesforce.com EMEA Limited, village 9, floor 26 Salesforce Tower, 110 Bishopsgate, London, UK, EC2N 4AY.